Bright red sweaters and passion for social equity filled the Whitneyville Cultural Commons in Hamden Wednesday evening as local elected officials, members of the Delta Sigma Theta sorority, and community members discussed how to pursue the sorority’s ambitious legislative agenda. The New Haven Alumnae Chapter of the Delta Sigma Theta Sorority, Inc., which serves New Haven and the towns around, hosted the event. 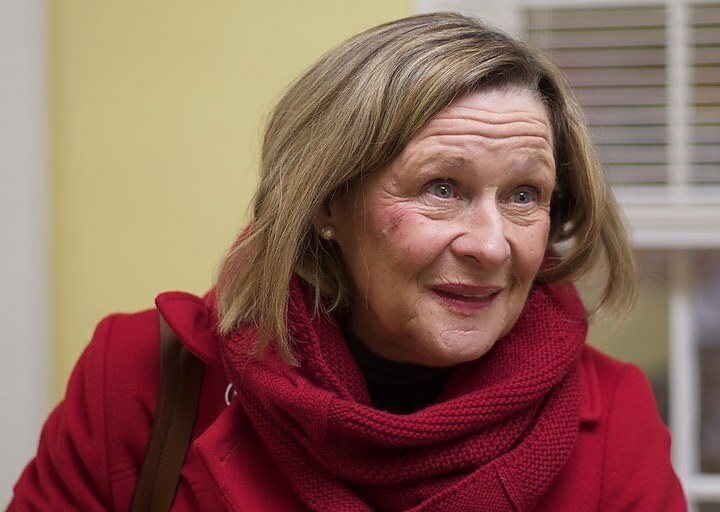 Pat Dillon cosponsored a bill to raise minimum wage to $15, which didn’t pass last year but has new momentum because of Democrats’ gains in the November elections. Dillon explained that the income levels that determine cutoffs for certain benefits are determined by the federal government. So even though a $15 minimum wage is not always a sufficient wage in Connecticut, it could disqualify some people from eligibility for certain benefits. She added that a higher minimum wage would generate a substantial pushback from restaurants and from nonprofits. Many nonprofits, such as youth and arts organizations, are not adequately funded, and they said they would not have the money to pay their workers any more than they do now. You can read the full story in the New Haven Independent.